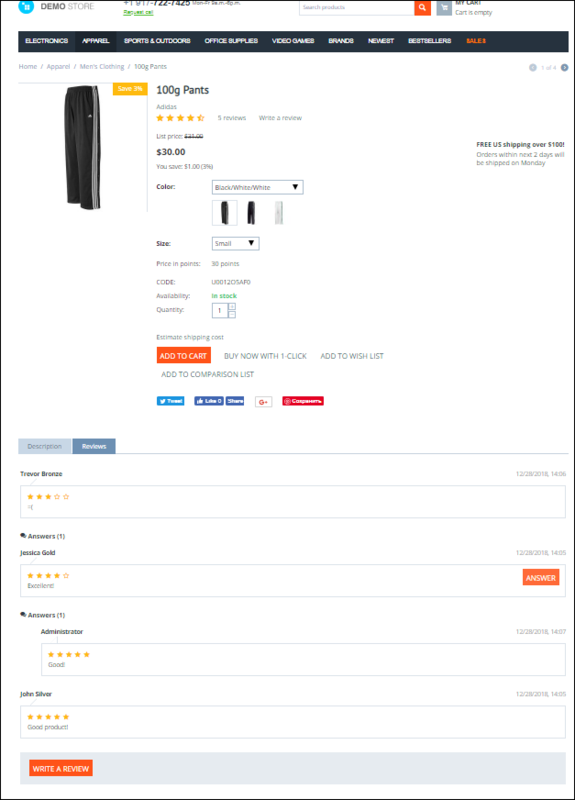 "Reviews tree" add-on can easily replace CS-Cart standard add-on. 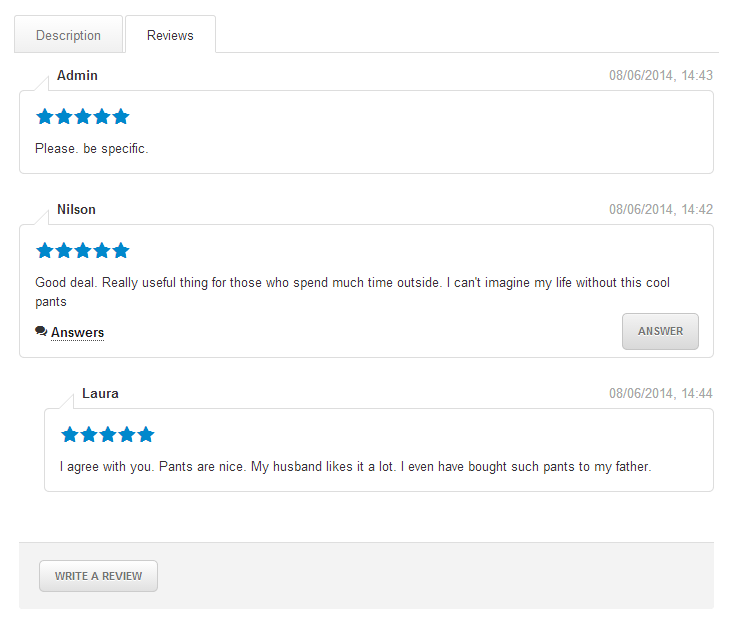 As "Reviews tree" is more user-friendly and convenient. This add-on builds a hierarchical connection between reviews/comments that your customers are posting. 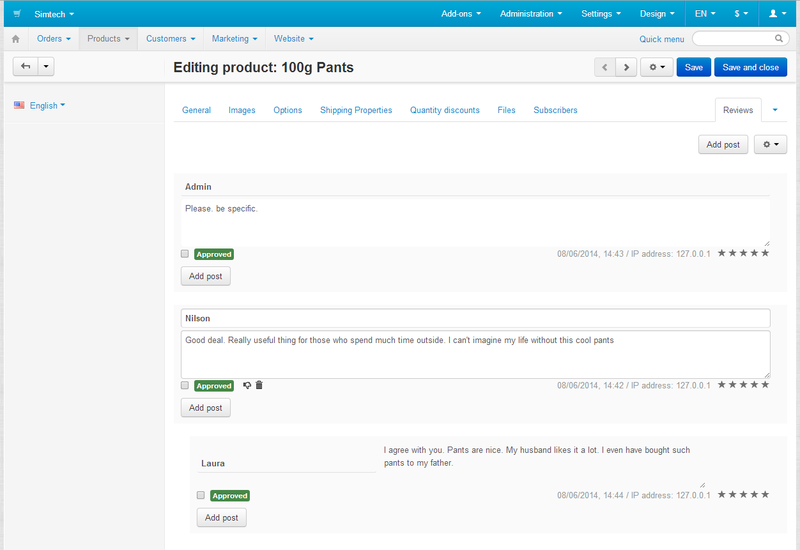 Messages look like a real conversation between your customers, you and your store visitors. 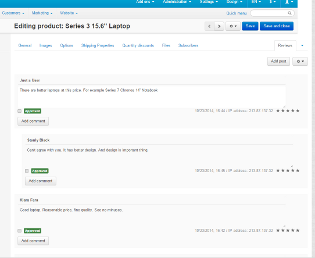 The main theme of such dialogue is the commented product. The add-on works correctly in Internet Explorer, Mozilla Firefox, Safari, Google Chrome, and Opera latest browser versions. IMPORTANT This add-on conflicts with Alt-team "Extended Reviews" add-on. We offer free installation of this add-on only for the default CS-Cart versions (that don't have any serious file changes and additional modules). Otherwise, the installation may require an additional charge. After add-on installation (Administration->Add-ons->Manage Add-ons), click "Settings" opposite to the add-on name. On the displayed pop-up page put a tick in "Show answers", if you want all posts under shoppers comments always be visible. There is an icon under some posts. 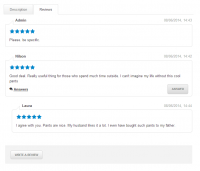 It shows that this post have been commented by admin or other shoppers. To show / hide feedback posts on previous comments and reviews click the link that is under the message. Download the archive with the "Reviews tree" add-on. Log into the administration panel of your store, go to the Administration ->Add-ons -> Manage add-ons. 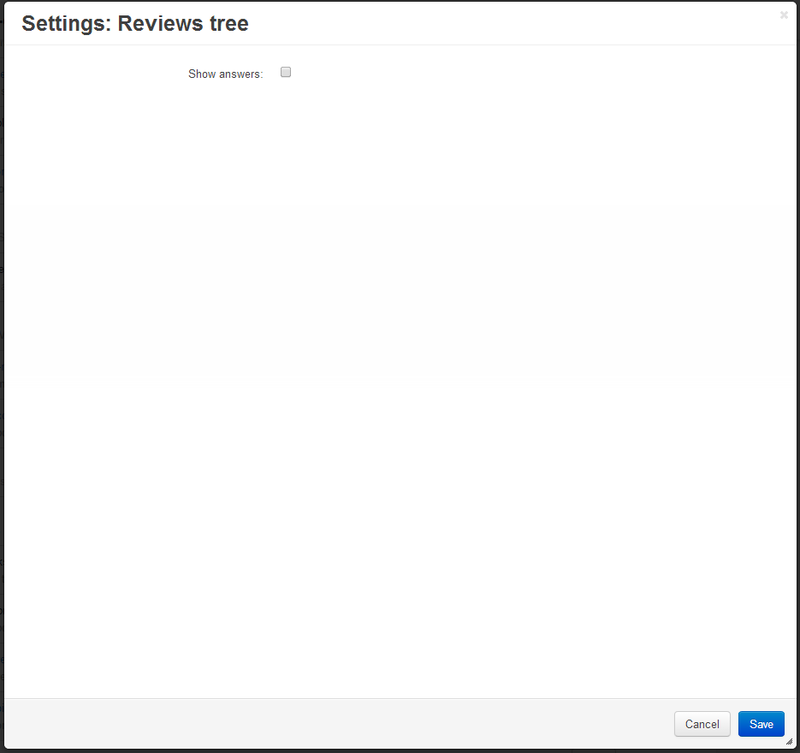 Find "Alt-team: Reviews Tree" add-on in the list of all add-ons and click Install opposite to its name. That's all. The add-on is installed. Read the Documentation to learn more about the add-on settings.